Two sets of our distinctive moveable alphabet letters, plus storage. A great way to introduce dozens of alphabet activities and to practice word building. 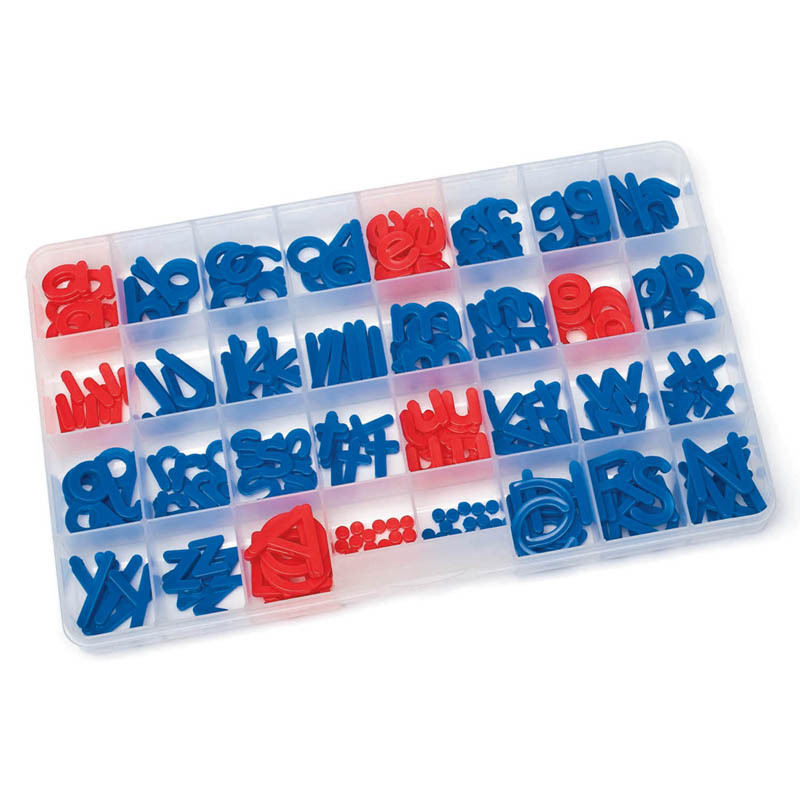 Letters are 3/4" to 2" high and easy to pick up, made of tough, durable plastic. Includes two sets each of our Moveable Alphabet: 155 lowercase letters (10 of each vowel and 5 of each consonant) and two sets of uppercase letters. 414 letters in all: red vowels and blue consonants. Plus Alphabet Letter Organizer and Moveable Alphabet guidebook.